"The government should ensure allocation of adequate funds for setting up enough number of courts so that people do not remain in prison for long periods and the trial is done," Sharma said in RS. 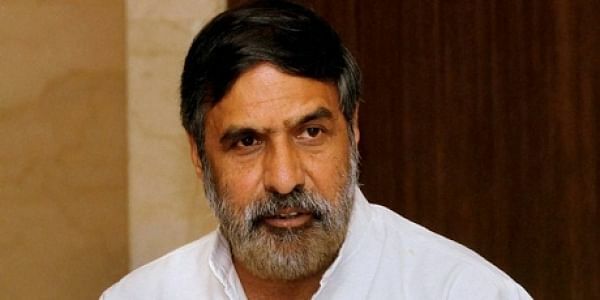 NEW DELHI: Congress MP Anand Sharma on Tuesday asked the government to ensure adequate funds for setting up special courts to try criminal cases against politicians. "The government should ensure allocation of adequate funds for setting up enough number of courts so that people do not remain in prison for long periods and the trial is done," Sharma said in the Rajya Sabha. The issue was raised in the Upper House days after the Supreme Court gave its nod to the government's proposal to set up 12 fast track courts for exclusively prosecuting and disposing 1,581 criminal cases pending against MPs and MLAs within a year. However, Leader of Opposition Ghulam Nabi Azad questioned why lawmakers were being singled out and urged the government to come up with a scheme for fastracking court cases of common citizens also. "Law should be for everybody, legislators alone should not be singled out," Azad said.